Do you need insulation with facing for a project in the Boise, Idaho area? Call Big City Insulation of Idaho. We install high-quality faced insulation for new construction and retrofit projects. Contact us to get in touch with our team or keep reading to learn more about faced insulation! Facings can not only protect insulation during the manufacturing process and beyond but also act as an air barrier, vapor barrier and/or radiant barrier. Some can also help make the insulation more fire-resistant. Foil and plastic facings on rigid polyisocyanurate foam panels can help stabilize the R-value. 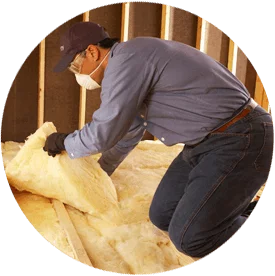 Here at Big City Insulation of Idaho, we install Thermax insulation board, which has a glass-fiber-reinforced, faced polyisocyanurate foam core. We use it for a variety of commercial insulation projects. Designed for exposed interior applications to withstand light to moderate impact, Thermax is intended as an insulation interior finish system for metal and wood post frames as well as concrete and masonry buildings in manufacturing, cold storage, agricultural and other applications as governed by building codes. If you need insulation with facing for a commercial project in the Boise area, we can help. Our rigid foam is ideal for a variety of applications and can help improve the energy efficiency and comfort of buildings. 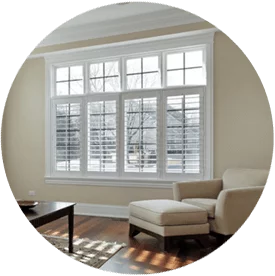 Contact Big City Insulation of Idaho and schedule a free estimate for your commercial project!